Diwali is the most important and grand festival celebrated by Hindus all over the world. The auspicious day of Diwali will fall on 7th November this year in most parts of India, and on 6th November in Karnataka, Kerala and Tamil Nadu. Since Diwali is celebrated by almost every Hindu Indian outside the country. It will be celebrated on 6th November in Singapore as well. 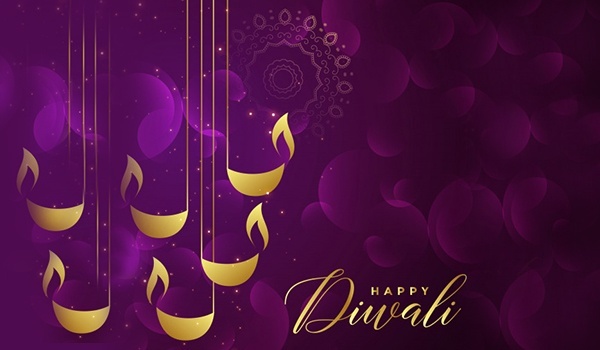 Diwali is a five-day long festival and during these 5 days the rituals of Dhanteras, Chhoti Diwali, Badi Diwali, Govardhan Puja and Bhai Dooj are performed and each day is celebrated with great enthusiasm and happiness. It is well known that this festival marks the victory of good over the evil. It is to celebrate the return of Lord Rama to Ayodhya after 14 years of exile. During his exile Lord Rama established Dharma by killing the evil King Ravana. Legend has it that the kingdom was lit up with lights and people rejoiced his return and hence the country celebrates this as an age old custom. Houses, temples and public places are all lit up with lights, candles and earthen lamps. According to the Hindu calendar, the festival falls in the month of Karthik and as per the Gregorian calendar, the festival falls during the months of October or November. The houses are cleaned to welcome Goddess Lakshmi and are decorated with Rangoli and colors. It is considered positive to buy new goods during the days around Diwali. On this day it is believed that Goddess Lakshmi visits the houses and so people keep their house clean and decorate it to welcome the Goddess. In the early hours of the day Sawstik is drawn with vermillion on the various entrances of the house and Rangoli is made. This marks positivity in the house. In the evening, after sunset Goddess Lakshmi is worshipped and it is believed that it will bring wealth, prosperity and happiness in the house. Lakshmi Puja and Aarti are done after which the house is lit with diyas and candles. Diwali is a festival of lights, love and indulgence. People visit each other’s house and it's hard to resist the wide variety of sweets and delicacies that are prepared during this time of the year. Dry fruits, nuts and some sweets are offered to the guests and special food items varying from region to region are prepared. It is a grand gathering and a time to enjoy. Children and elders both burst crackers and exchange sweets.